EP-50 Copper and Aluminium Dies Dies: Izumi Products. 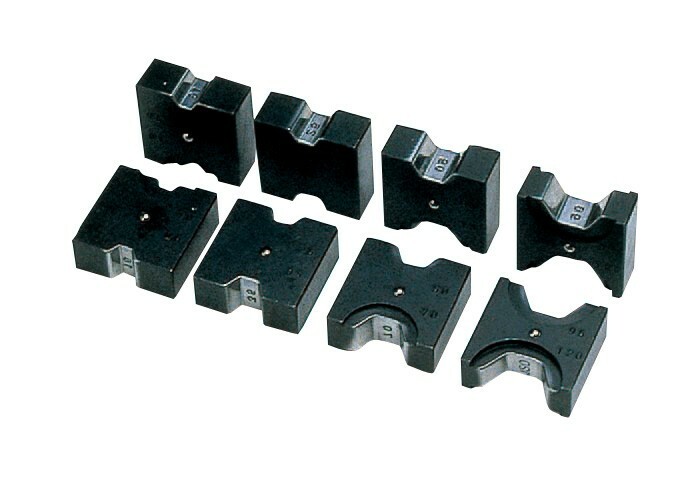 Beku type dies for ABC connectors use with the following tools EP-50,REC-551, ECO-50. Double sided, set consists of 10/16, 25/35, 50/70, 95/120, 150, 185 mm squared. Double sided, set consists of 10/16, 25/35, 50/70, 95/120, 150, 185 mm squared. suitable for DIN 46235 Terminals.